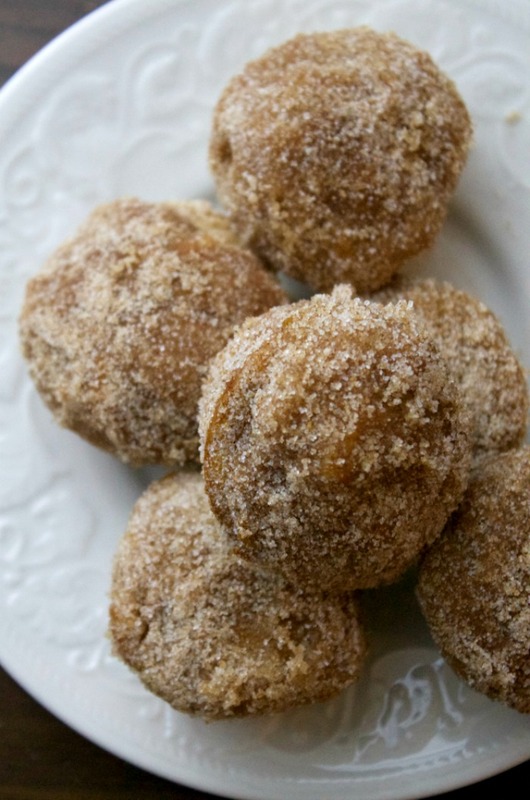 THE BEST Cinnamon Sugar Pumpkin Donut Holes Recipe On The Web! 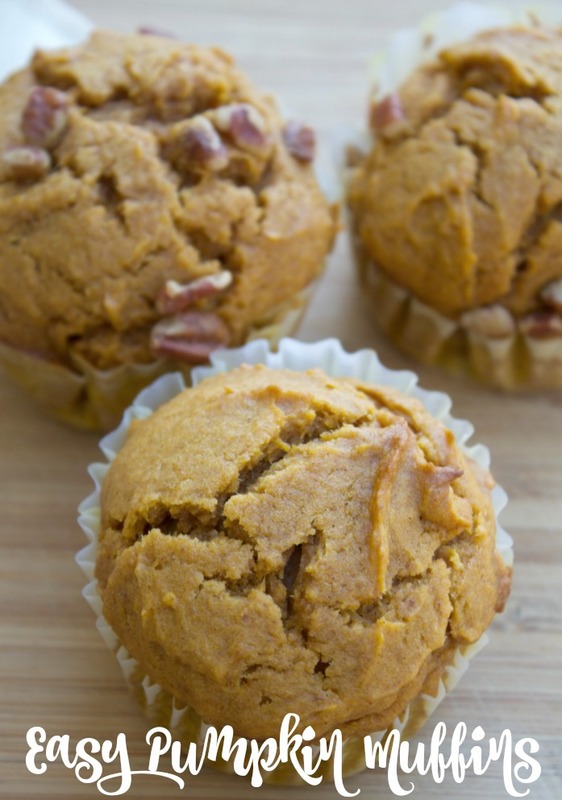 My pumpkin obsession started a few months ago when my husband made some Pumpkin Muffins. These muffins were SO good, and pretty easy to make. It’s no surprise that they quickly became a breakfast favorite in our home. With Fall and pumpkin season just right around the corner, I’ve been experimenting with some new pumpkin recipes. 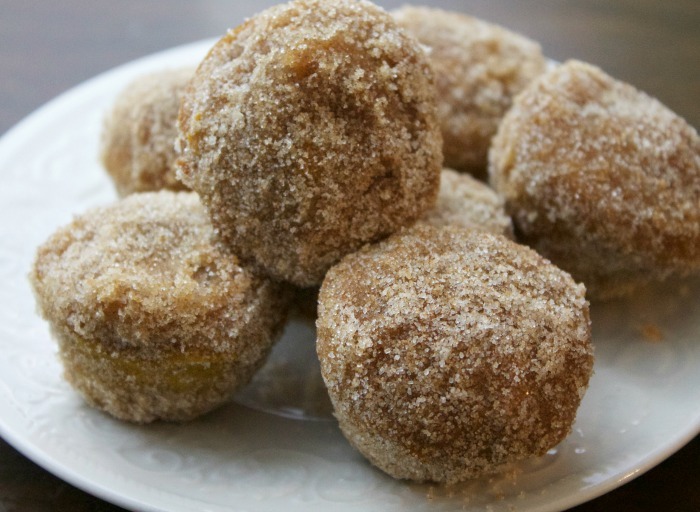 My latest delicious recipe is this Baked Cinnamon Sugar Pumpkin Donut Holes recipe. This pumpkin donut recipe was a huge hit in our family and I plan on making them a lot more over the next few months. The pumpkin donut holes are super quick and easy to make and a great alternative to the greasy fried donuts that you find at the donut shop. I really love these Baked Cinnamon Sugar Pumpkin Donut Holes because they are really easy to make and only require a few steps to make. You do need a small donut hole pan to make these in like this one. But if you don’t have a donut pan you can still make these in a small mini muffin pan. This is the small muffin pan that I use on all my donut holes and mini muffins. I really LOVE it. Preheat Oven to 350 degrees F. Spray a small muffin pan or donut hole pan well with non-stick cooking spray. In a medium mixing bowl mix together all the wet ingredients. (Pumpkin, eggs, vanilla.) In another medium bowl mix together the dry ingredients. (Flour, salt, baking powder, sugar, pumpkin spice). Gently fold in the wet ingredients into the dry ingredients, mixing well. Pour the mix into the muffin pan and place in the 350 degree oven for 10-15 minutes or until the muffins are done. They should spring back when you touch them. Once the muffins are out of the oven, let them cool completely. Then in a small bowl mix together the sugar and cinnamon. Dip the muffins into the butter and then into the cinnamon/sugar mixture making sure you cover the entire donut hole. Eat and Enjoy! Also I wanted to note that while you can save these, they are best eaten the same day. Yum! These sound delicious and perfect for a fall dessert with ice cream!